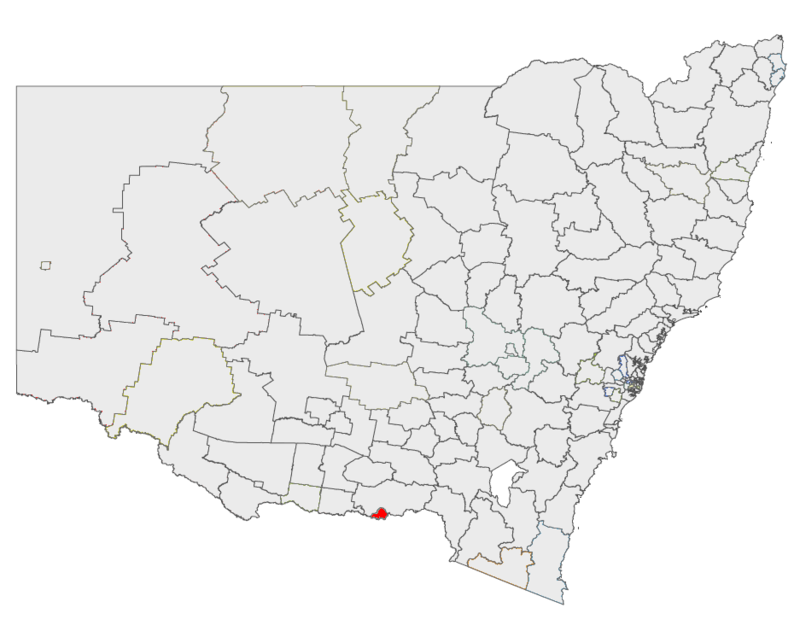 Albury City Council is located in the Riverina region of New South Wales. The LGA covers an area of 313 km², and had a population of 48,629 in 2006. The city comprises the Albury urban area, and the suburbs and localities of Forrest Hill, Lavington, Thurgoona, Splitters Creek, Ettamogah, Bowna, Table Top and Wirlinga.